It's been over a year in the running and I think it's time you all got the chance to get your hands on it for yourselves. It's a simple install by copying the contents of the ZIP file to your OMSI 2 directory. Standard HOF files are included but you'll need to add any others. Please note that there are still some things to finish and those will come in an update. Some of the main textures are high-res and may be a problem on lower-end PCs. To avoid problems make sure you've installed the 4Gb patch to give OMSI 2 more memory to play with. 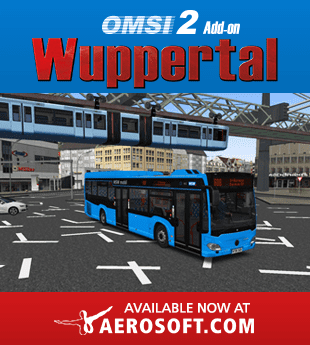 This latest version includes Blender files for modders to create their own versions of the Lion's City along with various minor improvements to the bus in general. * Still forgot to add standing passengers... maybe next time, eh. A21 changed to A37 due to mistake in identification. Thanks for downloading the latests repaints for your new buses. Simply install by copying over the contents of the download into your OMSI 2 directory.